New York City is set to get hundreds of new units of affordable housing in the Bronx and Manhattan. 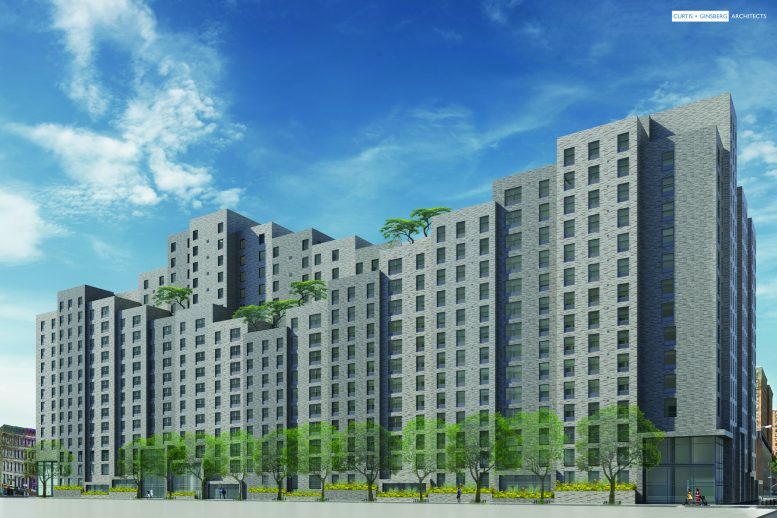 On Tuesday, Mayor Bill de Blasio’s office welcomed news that the City Council had approved four developments in the Bronx and East Harlem. Lawmakers had previously rejected rezonings that would’ve allowed affordable developments in Sunnyside, Cobble Hill, and Inwood, three major blows to the mayor’s plan to build or preserve 200,000 units for low- and middle-income households over the next decade. In the Bronx, the biggest project is the redevelopment of the Lambert Houses, a $600 million initiative that will bring two elementary schools, a renovation of a local park, and $12.3 million in transit infrastructure improvements to the West Farms neighborhood. All units at the other Bronx developments, Morrisania’s Melrose Commons and West Farms’s Second Farms, will be completely rent-regulated. At East Harlem’s Lexington Gardens, 20 percent of the units will be let for more than median rents, Politico reports. The complex, designed by Curtis + Ginsberg Architects and developed by L+M Development Partners and Tahl Propp Equities’ Lexington Gardens, is a 400-unit development bounded by Park Avenue, East 108th Street, and East 107th Street. Retail, parking, and space for nonprofits will occupy a 15-story, 411,725-square-foot structure. The building is zoned for Mandatory Inclusionary Housing (MIH), which ensures that units will remain permanently affordable. 20 percent of the Lexington Gardens apartments will be available to households making one-third of the area median income (AMI), which is $24,480 for a family of three, while an additional 30 percent will be offered to those making half of the AMI, or $40,800 for a three-person household. The full-block development portends residential construction elsewhere in the neighborhood: The pending East Harlem rezoning could bring 3,500 units to the area in the coming years.